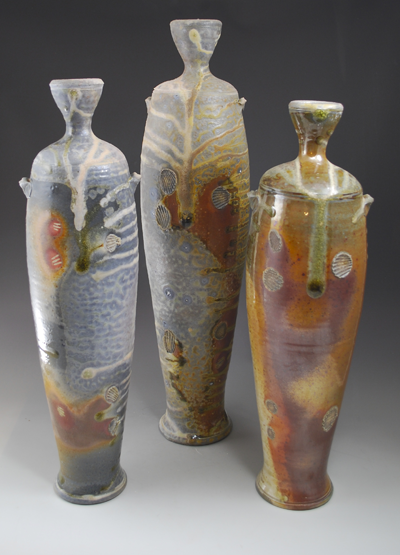 Mark Goertzen: I began work as a full-time potter in 1989 after studying art at Bethel College in North Newton, Kansas. I have been making pots ever since while learning from my successes, failures, and from other artists. 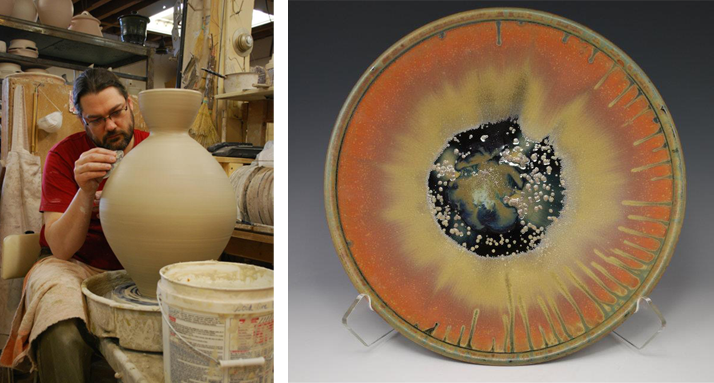 I work with porcelain and stoneware clays to produce both functional and one-of-a-kind vessels. Most of my pieces are simply decorated to call attention to the form, and I enjoy the challenge of making familiar forms new and simple shapes beautiful. Pottery is my way of building community. Because handmade objects carry the spirit of the artist, pottery connects us to one another in ways that mass-produced objects can’t. My pieces are meant to bring beauty to everyday life, and perhaps the greatest reward is building relationships with the people who take my pots into their lives and homes. I also find community among other potters and value the way we freely share ideas and support one another’s work.